Upgrade to power-intensive mobile processors and revolutionize the way you work! Intel Core i5 mobile processors are now available for versatile gaming devices. Work smartly and effectively with Turbo boost 3.0. The Core i5 mobile processors allow for 4K video display, so you can create eye-popping content quickly and seamlessly. 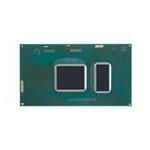 Who Should Buy The 6th Generation Core i5 Processor? It is for all those who love to improve their quality of work and need a faster processor. The 6th Gen Core i5 processor is for those who normally use advanced versions of software or are interested in playing the latest games. Apart from the entertainment enthusiasts, the Core i5 processors are perfect for geeks as well. Advanced engineering and development tools require faster speed, which is done through this powerful 4-core processor and RAM. 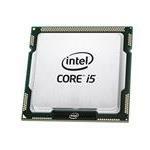 Browse through our website to book your Intel Core i5 processor. Order today and avail free shipping on your purchase.